Apple does justice to their motto every time they launch a new product. Apple has reinvented the mobile phone industry with its revolutionary iPhone and app store and is defining the future of mobile media and computing devices with iPad. I’ve always had a clear set of goals as to what I want to do and who I want to be. I took Information Technology as my B.Tech specialization because I wanted to be a software developer. I knew it was the ideal career for me considering my love for programming and the proper pay it offers. While I was pursuing my B.Tech degree as part of our syllabus we needed to do a final year project. The students were divided into groups of 4 members. All other groups selected their project topics in Android but our group wanted to do something different. After a long discussion with our H.O.D and project guide, we decided to go with a project in iOS technology and named it “Safer Plus”. Without realizing it, I was making the first step towards my iOS career. I felt comfortable doing the programming for our group project and decided to choose it as a career. Ever since my graduation in July 2014, I’ve followed my true passion with only little support from my friends and family. Their concern for me was that there aren’t many companies developing iOS apps, hence landing a good job wouldn’t be easy. 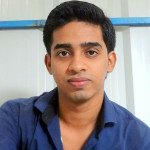 Still I believed somehow I will find the perfect job for me and my belief led me to ATEES, which is where I joined right after graduation to pursue a career in iOS development. Since 2015, it’s been a pleasurable journey of personal as well as professional growth. Why is Apple Devices Everyone’s Dream Products? I’ve asked myself this questions a lot of times. Is it the sleek, handy, elegant design? Or the smooth, lag-free iOS software? The brand value that tempts you for it’s reliability and luxury feel? Even the die-hard Android fans will admit that if it’s an Apple product it will be everything mentioned above and more, much more. This large user base is what makes Apple’s iOS the toughest competitor to Android and other platforms. Most clients/businesses want their app to exist in the Apple’s app store since iPhone currently holds a large portion of market shares in the mobile platform. I believe this reason should be enough for anyone to learn to develop iPhone applications since be it for yourself or your clients, most people hope their app can be accessed by many people in the world. Why Should You Be Focusing on iOS App Development? Apple likes things simple in everything from their products to framework. All of Apple’s mobile devices such as iPod Touch, iPhone, and iPad uses the same operating system – iOS. Which is why you need to keep it in mind that you could be developing for all of other devices with the iOS when you are developing apps for iPhone. 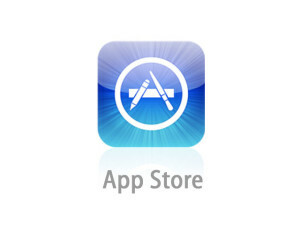 Developing an app may not give you much trouble if you do it right but for Apple to grant the rights to publish it in the app store is an entirely different story. Sometimes, apps are rejected for the slightest errors and this can prove to be very frustrating for the app developer, who has a certain idea about the exact way his/her app is designed and should function. But it’s not impossible! 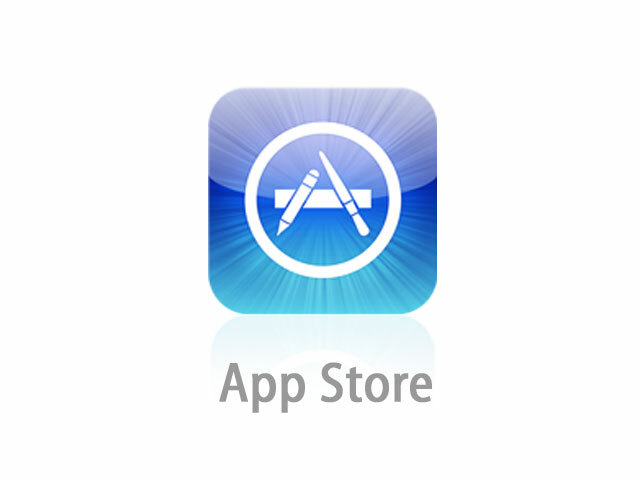 From my experience, the apps once approved in app store stands a good chance of being promoted via multiple channels on the store, such as being featured on the Popular App category, App of the Week category and so on. And that makes it easier for the app developer to make a profit from the sales of his/her app. The returns would become substantially higher if the app got popular with the masses. So the initial registration fee is actually reasonable considering how much profit you’ll be making in the long run. Suppose an app got rejected, the developer will receive an efficient app review that clearly describes why his/her app has been subjected to rejection. This may seem annoying to some but is in fact for their own benefit as it gives them a clear idea of what needs to be changed to make it better, which ultimately builds their skills of app development. This is something unique to iOS developers, Android play store is much less tedious when it comes to app submission but the guidance that the iOS App Store provides to its developers is not something you can expect from Google play store. Then there’s the profit issue, Android users prefer free apps and most of them pay no attention to the paid apps, so the chances for you to get ROI or even proper visibility is very small. The iOS users, on the other hand, do not mind paying up for good apps. 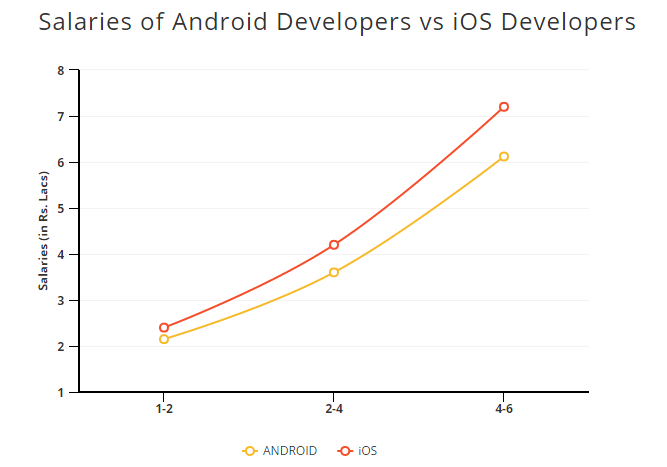 And that’s why you/your clients will want to focus on iOS app development. How to Become an iOS developer? I’m going to give you a simpler explanation for this one. There are several steps you need to take for your iOS app development journey. And the first one obviously is learning the programming language. There are many online tutorials available for coding, still, there’s no better way to learn than from the experts. My advice to you is to join for a professional iOS App Development course and not just go for a basic course if you’re serious about pursuing a career in this field. The basic + advanced courses will be the best for better exposure. This is where you’ll take the leap of faith! Jump into the programming pool and dive right in. if you’ve some programming background, it’s awesome! You can pick up Objective C or Swift easily. Objective-C is old school and is harder to learn if you’re a beginner. For someone trying to take the first step, I recommend Swift, It’s my favourite language. However, they’re both standard Object Oriented Programming languages for iOS app development and you can choose what you’re comfortable with. To me personally, swift is best since it’s the latest Apple’s own programming language and it’s super easy to learn. Breathe! There are some workarounds for this one such as hackintosh or Mac In Cloud. And you don’t really need to buy a new Mac and iPhone, second-hand devices will be just fine. Also, there’s no need to go for the newest, fastest and the most expensive Apple products, you only need ‘some’ Mac. As an entry device, you can use Mac Mini, it’s worth every penny you spend for it or if mobility is your number one priority get Air like me. But keep in mind that Mac will be your main working tool so it’s better to have an actual Mac & iPhone. Got your shiny (clean it up if it’s used, it will still shine) Mac on your desk? It’s time to install the primary software you’ll need to develop iOS apps. Xcode is your IDE (Integrated Development Environment) for making iOS apps. The first order of business is to download it straight from the Mac App Store. Xcode lets you write and edit codes, debug, draw your app in storyboards, unit test your app and do much more. With each upgrade, Xcode is becoming faster and can also be used to upload your app to the App Store. Once you’re familiar with the programming language and the development software, you can start digging the internet for iOS app development tutorials. Start creating a few small apps with the help of step by step tutorials such as a calculator app, a weather app, a currency converter app, a Music app etc. Because with each app you’ll get better at developing. The important thing is to keep creating something useful. There are a couple of websites that will get you started such as AppCoda, Ray Wenderlich, ManiacDev, etc. each time you develop something new try to add your own ideas into it, fine tune the design to make it look more elegant and smart looking, and develop apps according to Apple standards. You’ve obtained some experience on app development by now and it’s time to get serious. What you’re about to do next is to create your very own app which will appear on your resume for your future employer to review. You’ll be starting out as a junior software developer so your custom app doesn’t necessarily need to be a big scale project. You’ll plenty of time for that later, not to mention support from your colleagues/experts with a better experience in the field – that is if you land a good job with your custom app first! Do you have something you are comfortable coding for? Start on that and work your way up focusing on a clean, smart and working code. Perfect your app by continuous debugging while developing and test your app before submitting to the app store. This is an entirely optional step. It costs $99 to create a developers account and it needs to be renewed each year. My advice is to not create a developer account right away. Join an iOS development company that already have a developer account and publish from that account so it won’t cost you. Still, the credit goes to the company even if it’s your work. Which does not sound awesome considering the amount of work you put in to create the app. But it’s better because that’s a lot of money. Once you’ve become an iOS app development giant – however, you should get your own developer’s account and publish apps by yourself. For now, you may not want to spend that much every year. Create a distribution certificate for every app, without it you won’t be able to publish any app in the app store. Once uploaded, the app will take some time to appear in the app store – if all goes well. The Apple review process usually takes 3 to 14 days to finish and in case of any issues, the support team will revert back to you. So you’ve gathered some ideas about iOS app development, now comes the obvious question – how’s the pay?. Well, I have only a single word to describe it – “Humongous”. How Much Will You Be Earning? See that graph? The only way it’s going to move is up! Even for a fresher, the salary package offered is great, just imagine how much you’ll be making when you gain more than 6 years of experience. There’s also a high demand for iOS app developers in India due to the scarcity of talent in this sector. 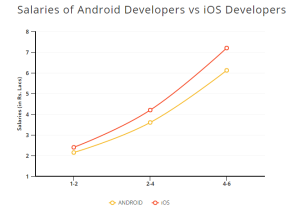 From the graph it’s obvious that the pay scale is way better than that of an Android app developer, so you’ve made the right decision choosing iOS. What’s more, your pay relies upon your experience and skill set. So gaining experience should be your top focus once you finish your training. I would recommend getting an internship not long after your professional training. Hopefully, this blog helped you to get an introduction to iOS app development career. Subscribe and share so that it can help other freshers too. Also, let me know of any recommendations/topics that you want me to write about, in comments so I can take them into consideration for my next posts. Very useful post. Nowadays, more job opportunities are there for IOS app development. Companies are providing huge salaries for the experts. So getting a training in iOS app development is not a wastage of time.